This is not a commercially available product at this point. It is a community based local food product consumed primarily in the region that are "wildcrafted". Most that are sold go to local restaurants for prices based on local markets and customer/collector relationships. We would like to increase the marketing of these products when flushed and process some locally in the future. Warning! 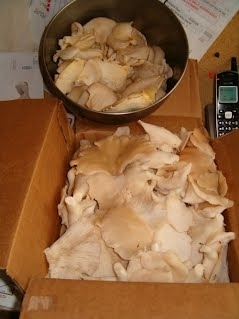 - not knowing what you are doing and eating or selling wild mushrooms can be dangerous! Found on logging slash or in some cases hand made arbors along skid trails randomly through the forest as opportunities naturally occur. This is a result of active Restorative Forestry operations that keep the forest essentially intact. 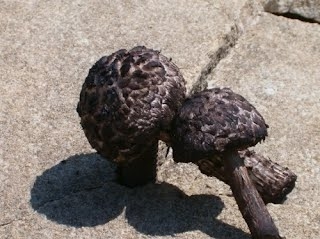 Aka Old Man of the Woods, edible, never sold a one. Delicious, flush in patches, must be picked timely, local connections, truly the fruit of decay. 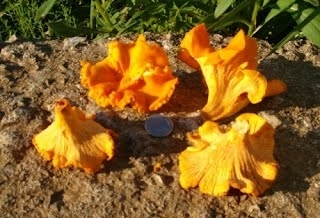 This mushroom is widespread in several varieties, all growing in old disturbed areas. Seasonal, mid summer. Locally called "dry land fish" and "miracles", seasonal, cyclic, spring only. 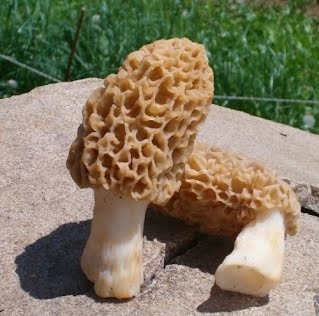 Favorite of many mushroom eaters.